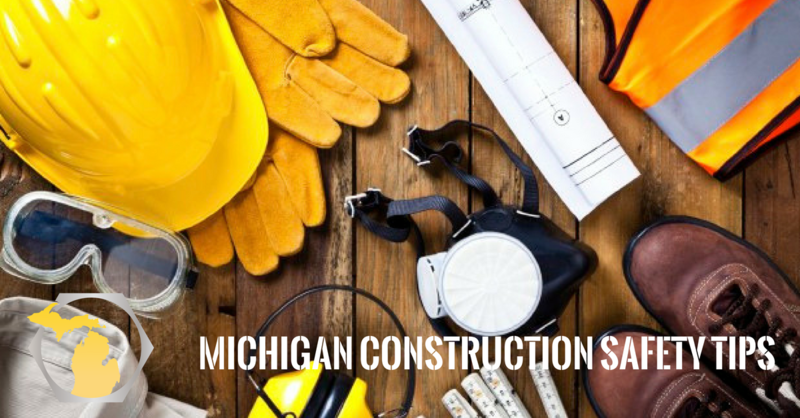 Michigan Construction knows that employee safety on the construction site is top of mind for all of our partners. We have teamed up with USA Hoist to bring you this article about construction safety tips and a great info-graphic highlighting safety best practices when climbing a ladder, proper use of tools, personal protective equipment and operating heavy machinery. Accidents happen, but the job site is the last place any construction professional wants to see them take place. Preventing accidents on the construction site is essential not only to keep work on schedule and avoid delays, but also to ensure every worker on the site goes home safe and sound. Construction professionals need to do more than cross their fingers and hope for the best every day they report to the job site — a safe working environment is the result of everyone keeping their heads in the game and following a well-organized safety plan. Even something as seemingly simple as hammering a nail into a board can create the potential for serious injuries and lost time unless workers take the proper precautions. These include (but aren’t limited to) wearing protective safety gloves and goggles, taking regular breaks to rest their hands, and visually inspecting the hammer for signs of wear and tear before starting. Failing to do any of these tasks can put a worker at risk for injury, and end up costing the job a significant amount of lost man-hours. Creating a safe working environment on the construction site is everyone’s responsibility — from upper management to the workers holding the tools. It begins with having a solid plan in place and then confirming everyone understands their roles in it. Accidents may be inevitable in the real world, but they don’t have to happen on the construction site. Read the following infographic for some basic tips for better safety on the job site. Author bio: Eric Block is VP of Sales and Marketing at USA Hoist. He has been in the industry for 15 years, and has the experience and knowledge to help achieve the most effective hoisting solutions for general contractors — assisting with everything from value engineering to logistics plans.